First of all, my apologies on being a day late with the aquascape of the week, the holidays are wreaking havoc on my blogging schedule! 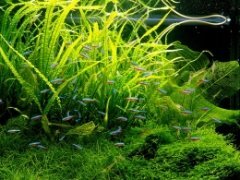 I promise I'll have the answers to the Aquascaping Answers questions up either later today or tomorrow. 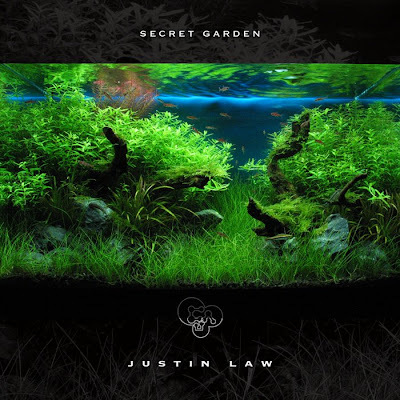 Anyway, I've decided to feature another one of Justin Law's outstanding aquascapes. This one, called Secret Garden, really lives up to the name. It's overgrown, but just enough to give it that "this was once nicely trimmed" feeling. The driftwood also works very well here, creating interesting lines, and the rocks are present but not obtrusive. For full details and more pictures of this tank, visit Justin's CAU page on this tank. In this scape I partciulary like how the shade and color of the stones compliment the greens, and how the grass is allowed to grow somewhat unruly to get a more natural look. Lovely scape, and beautifully photographed.